HOT 14 Hordes of the Dead. Six identical figures. I think that this set of figures borrows from the Tolkien trilogy Lord of the Rings. 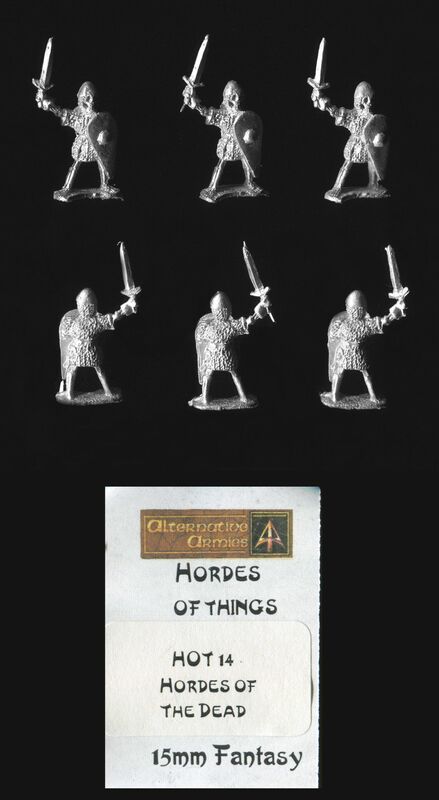 These figures may represent the oath breakers summoned by Aragorn in the Paths of the Dead. A skeletal warrior holding a straight sword in its right hand, wearing a Norman style helmet, with a nasal, and mailshirt. He holds a teardrop shield on his left arm. He stands approximately 20mm tall to the top of his helmet. 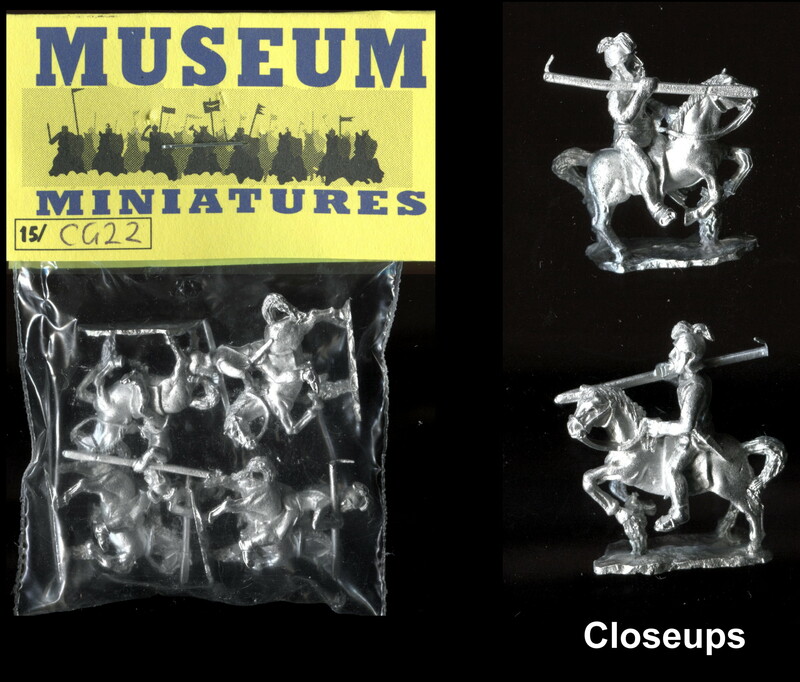 The original pack contained sixteen figures from four different designs – we have listed this design separately as a group of six.